Nigerians have been advised not to engage in panic buying of fuel as measures are being put in place to ensure constant adequate supply. The Nigerian National Petroleum Corporation, NNPC, said it would increase the February supply of petroleum products by providing six additional PMS cargoes of 37,000 tonnes each. The move, among others, is part of measures to sustain supply of Premium Motor Spirit (petrol), Automotive Gas Oil (diesel) and Dual Purpose Kerosene (DPK) nationwide. plan will also boost the NNPC’s existing national PMS sufficiency of over 32 days. Other measures put in place, according to the statement, include immediate importation of three additional Automotive Gas Oil (AGO) cargoes before the end of February and an order for massive 250 trucks per day loading of AGO and DPK, from across the three NNPC refineries in Port Harcourt, Kaduna and Warri. 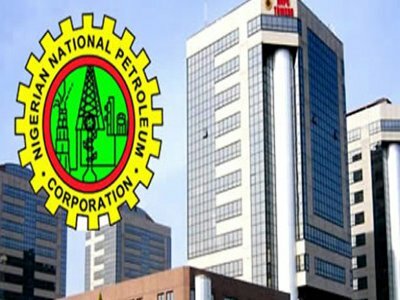 The statement explained further that the acting NNPC Group Managing Director, Saidu Mohammed, who chaired an emergency meeting on the Corporation’s downstream operations where the measures were taken in Abuja, said NNPC would transmit the full list of marketers involved in off-taking AGO and DPK to the Department of State Services, DSS, for appropriate follow-up by the security agency to forestall possibility of any stakeholders engaging in foul play. “(Mr.) Mohammed said the move to provide additional PMS cargoes of 37,000 tonnes each was to give further comfort and stability to the robust petrol sufficiency nationwide,” the statement said. “Other measure the Corporation has taken, apart from ramping up fuel supply nationwide, is an expansion of daily truck load-out of petrol, diesel and kerosene, even during weekends to ensure improved products delivery to the hinterland. Mr. Mohammed, the statement added, however, charged downstream operators to immediately implement measures that would sustain adequate supply and distribution of petrol, diesel and kerosene to every nook and cranny of the Country. It stated further that the NNPC has also made concerted efforts to pay the outstanding bill owed Duke Oil, the Corporation’s trading arm, for products importation, even as it has put in place modalities for transparent accounting practice. “As part of measures to sustain products supply stability across the Country, NNPC planned to obtain, from the Central Bank of Nigeria (CBN), an AGO Foreign Exchange (FOREX) intervention to marketers as well as Depot and Petroleum Products Marketers Associations (DAPPMAN). petroleum products across the country not to engage in panic buying. 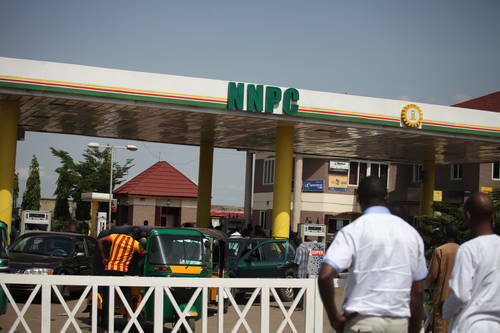 “Motorists and other consumers of petroleum products across the Country are enjoined not to engage in panic buying as NNPC has over 32 days sufficiency for petrol, and adequate volumes of diesel and petrol to meet their demand,” Mr. Ughamadu said.